Read our guide, which looks at 10 reasons to switch to hosted telephony. If you are considering changing your business telephone system, now is a good time to take a look at the benefits a hosted system can deliver. With so many options to choose from, we’ve put together a buyer’s guide to help you find out if a hosted phone system is right for your business. 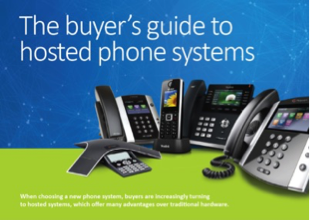 Our free Hosted Telephony Buyer’s Guide highlights the key considerations you should take into account so that you can find the right system for you. Link-Connect is not only a Gamma telephony Partner, but also a wide area network and security specialist and a trusted Private Cloud supplier. This puts us in a good position to help you ensure your telephony solution fits your business needs and that all your infrastructure is in place to support a smooth switch-over. If you’re looking for a better telephone system please get in touch. Click here to read more about our Hosted telephony solution.